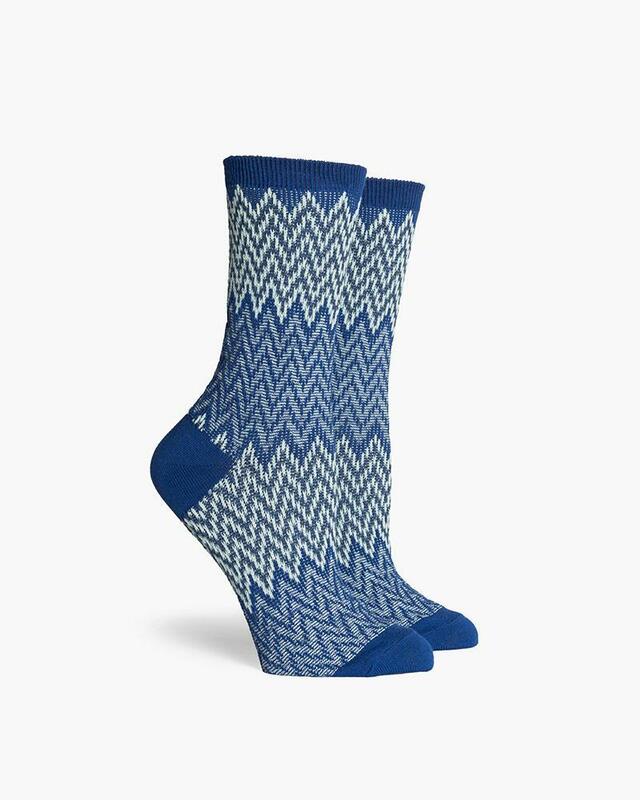 Women's crew sock with a delicate geometric pattern. These narrow double cylinder knit socks are constructed with our quality combed cotton blend with a little extra texture. Using a specialized machine, this knitting technique gives our more complex patterns room to stretch.